Each year we have some problem with the timing of a few last minute contributions. It may be caused by bad weather on the last Sunday, or slow mail, or forgetting for a few days. But we need to close our receipts so that contributions are assigned to the correct year. Please do your best to bring all contributions to church on Sunday, December 27. If you mail one, please mail it to arrive by Thursday, December 31. If there is a possibility that we won’t get your contribution by 31 December, please clearly designate it for 2009. Any contribution not received before our weekly deposit at noon on Sunday, January 3, 2010, even if marked for 2009, will be accepted and recorded as a 2010 contribution. Holy Eucharist and an Christmas Pageant. Shelter, restore, nourish, equip: Thank God, that’s what you and fellow Episcopalians continue to do, helping thousands of people in Southern Ohio survive the recession and get back on their feet. In September, Episcopal churches submitted 47 grant requests to ECSF, your Episcopal charity in Southern Ohio, asking for a total of $166,850. They will combine whatever we can send with their own courageous stewardship to serve over 70,000 people in need in the year ahead. You’ll be re-housing homeless families in Xenia, providing prescriptions for people with no hope of getting insurance in Marietta, aiding inner-city children in Dayton to discover the power of reading, equipping scores of parents to pass the GED exam in Columbus. And that’s just a sampling of the Good News! Thanks to everyone who’s pitched in so far: your gifts have raised over half the amount requested! If you haven’t already and are able, please send a donation by check or through our website. Consider making it a Christmas gift in the true spirit of Christ to someone you love. We can send them a beautiful card if you give us instructions by Dec. 15. You can use mail a check payable to ECSF c/o Diocese of Southern Ohio, 412 Sycamore Street, Cincinnati, OH 45202, or donate via ECSF’s website, www.ECSFsouthernohio.org. There you can read a few of the moving stories churches have sent us on the relief and stability they’ve provided to people of all ages and stations in this dark time. You are very likely to see a picture of someone you know! 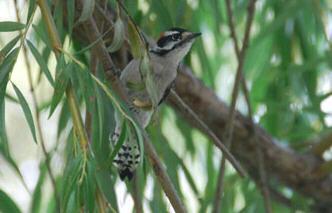 Donations to ECSF are fully tax-deductible. Your gifts and the ministries they sustain make a giant witness of courage and love to the state, showing that this Church is steadfast in responding to rising human need in God’s name even as many human services are being forced to cut back. Thank you, and happy Advent! If you would like to donate money for flowers for Christmas, envelopes are available in the pews. Please fill out the envelope and drop it in the collection plate or bring it to the church office no later than December 20th. This is a presentation of CMTV (Camel Music TV) starring Cameron Camel who will guide us through the top five rock-n-roll Christmas songs of our time. At 6:30 pm, we will offer a FREE light meal that will fill your tummies followed by a show that will fill your hearts. For more information on this event please contact Rachel Huffman at the Church Office. –> e-mail to cecdayton@christepiscopal.com or call 223-2239, by December 7th, 2009. Freewill offerings accepted. All are welcome to join us for Communion beforehand at 12.10 p.m. in the Chapel. 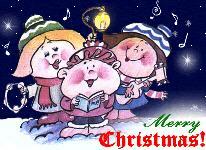 …and help us spread the Good News as we go caroling! In our first experience with community singing, we will join with St. Helen’s and Spinning Road Baptist Churches on Thursday, December 17th, and extend Christmas cheer throughout the surrounding neighborhood. St. Helen’s has invited us all to have pizza and fellowship at 6:00 p.m. Then, if we have enough carolers, we will spread out around the churches and sing the old favorites. We will distribute song sheets and holiday service information about all three churches to each household we sing to, then finish up with cocoa and cookies. There is a signup sheet on the bulletin board; please come with us as we establish a new tradition for our three parishes! Please welcome Bishop Kenneth and Mrs. Mariann Price this morning along with several members of St. George’s Episcopal Church. The Loose Plate Offering this morning will go towards the Episcopal Visitation Fund. This fund was created to assist seminarians with their education. regular worship followed by Holy Eucharist. Mike Kreutzer is offering an introduction to the Old Testament. Sunday sessions will take place from 9:30 am until 10:10 am; and Wednesday sessions, from 11:00 am until 11:50 am. Both series will be held in the Lounge. Please bring a Bible translation of your choice. All pledges received to date will be gathered together and presented as a special offering during our worship service today (Nov 29). Many thanks to everyone who supported the 2010 St. Mark’s Stewardship Campaign. If you have not submitted a pledge to date but would still like to do so, you are highly encouraged to submit your pledge ASAP. Every pledge is direly needed and greatly appreciated to allow our parish to fulfill its mission to do God’s work. During coffee hour on the last Sunday of the month starting on Nov. 29th. Returning to the Lounge Wall! After numerous requests, Mary will again present the programs drawn from her trip to Israel last spring. “ Palestine Now” Nov 22. “ Palestine of Jesus” Nov 29. If it’s easier to remember, these are the Sundays before and after Thanksgiving. Our youth are especially invited to come. Wednesday, November 25th at 7:00pm at St. Mark’s Lutheran, 720 Burkhardt Road. St. Mark’s Wishes everyone a very HAPPY THANKSGIVING! “Give thanks to the LORD, for he is good; his love endures forever.” Psalm 107:1. On Wednesday November 18th we would encourage people to join the Lunch Bunch after the Noon Holy Eucharist. We will be carpooling downtown around 12:30. All are welcome to share in good food and fellowship. Next Sunday, the Rev. 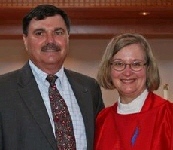 Jane Gerdsen will be with us for worship and for a special Focus Group Lunch on our ministry for and with our children. All parents in the parish were sent a letter inviting them to this one-hour discussion. We invite anyone else who is interested to join us as well. Lunch (pizza) will be provided, both for those in attendance and for their children. Please sign the list on the main bulletin board today, or call or email the church office tomorrow, so that we can prepare for this special event. 25% of the donations support the local Food Bank. PLEASE SIGN-UP FOR A GOOD CAUSE! For more information on these walks please contact Percy Akoto! There will be a PAT meeting on Sunday, October 11th after the church service in the first floor large classroom. For more information contact Ann Phillips. The Office will be Closed on Friday, October 16th. Learn more by clicking on this Diocesan link! Get out your bikes, skateboards, running shoes, rollerblades, strollers or red wagons and move for our diocesan youth. Turn your motion into money to help send our teens on diocesan mission trips next summer. Mark your calendar for Sunday, October 4, and join Episcopal youth and families from throughout the Dayton area for LEGS IN MOTION: MOVE-A-THON. · How: Any way you can get your legs moving! Bike, Walk, Run, _ Rollerblade, Skateboard, Push a stroller, or Pull a wagon! Put your legs in motion and pick up a Registration/Sponsorship form at your church. Entrance fees are $20 each or $50 per family. 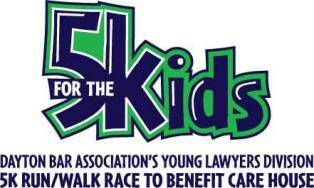 Fees will be waived if individuals raise $100 or more in sponsorships or families raise at least $200. Join the fun! Our kids are counting on us! The goal of the subject campaign was $12,000 to cover the projected deficit for the year. If successful, this will be the first year in the past seven years without a deficit. We received 22 pledges totaling $8,284, leaving us $3,716 short of our goal. Hence, 69% of the goal was achieved. All pledges were submitted as an offering during our worship service last Sunday (September 20, 2009). Many thanks for your generous support of this campaign. All contributions are greatly appreciated as they help enable St. Mark’s to fulfill its mission to do God’s work. Mon., Sept. 28: St. George, Dayton. 7-9 p.m. The mission of the Kairos Prison Ministry is to bring Christ’s love and forgiveness to all incarcerated individuals, their families and those who work with them, and to assist in the transition of becoming a productive citizen. The next Kairos weekend at LCI will take place on Sept. 17-20. Cookies need to be turned in on Sunday, September 13 or no later than Tuesday, September 15. Bags and instructions for the cookies are available in the church office or on the Ushers Table. Thank you for your generosity in supporting this life changing ministry. The goal of the current campaign is $12,000 to cover the projected deficit for the year. If successful, this will be the first year in the past seven years without a deficit. We have received nine pledges totaling $3,489 to date, leaving us $8,511 short of our goal. Please prayerfully consider contributing to the vital campaign by September 20, 2009. All pledges will be submitted as an offering during our worship service on that day. All contributions are greatly appreciated as they help enable St. Mark’s to fulfill its mission to do God’s work. NOTE CHANGE IN DATE !!! Please join us on September 26th at 5:30 PM. The cost per couple is $59.00. Singles cost is $29.50. Price includes a steak or salmon dinner, complete salad and dessert bar, and one bottle of wine (2 glasses for singles). Folks can also participate in wine tasting prior to selecting their wine. Please sign up at the bulletin board outside the office. Maps are also available. You can either meet at the winery at 5:30 PM or meet at St. Mark’s at 4:00 PM and we’ll carpool over. If you have questions about the outing, please call Tony Rubino. Retirement Community is one of St. Mark’s principal Outreach ministries. Several of our parishioners transport residents to doctors’ appointments, call Bingo, or participate in the Friendly Visitor program. Jim Rudd serves as our Ministry Coordinator. Canterbury Court invites you to visit and learn about the wonderful work that they do by joining them for their upcoming “Lunch and Learn” gathering. It will take place on Monday, September 21, from noon until 1:00. For more information or to make your reservation for this informative and informal hour, please contact Libby Nicholson. Our Annual Parish Picnic will be Sunday, September 13th. 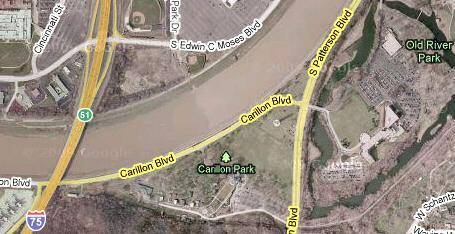 We will have our 10:30am service at Indian Riffle Park at Shelter #1, followed by a picnic. PLACE: Indian Riffle Park, Shelter #1, on Stroop Road in Kettering. Sign-up sheets and directions are posted across from Father Mike’s Office. WE WILL PROVIDE: Hamburgers, Hot Dogs, Condiments, Chips, Water, and all Paper Products. YOU SHOULD BRING: Lawn Chairs and/or a Blanket, A Side Dish or Dessert to share and your favorite soft drink for your family (we will provide cold water). We would also like someone to bring tomatoes, lettuce, and/or onions. Any questions, please contact Vic Howarah or any member of the Vestry. 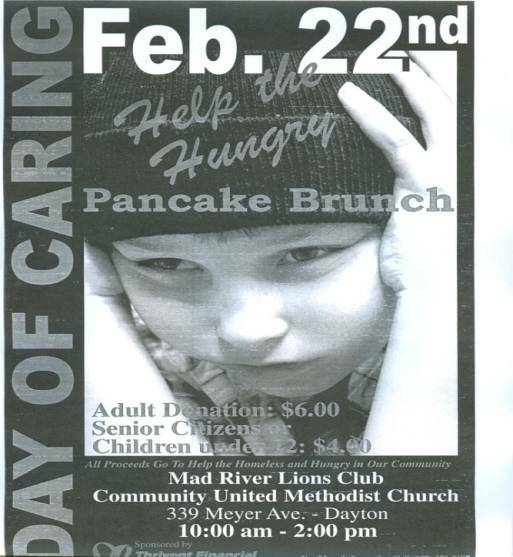 · Volunteers to sign up (sheet across from the office) to help at the booth for a minimum of 2 hours. We appreciate more hours. · Volunteers to bake cookies, doughnuts, etc for sale. A 10’x15′ tent (will take multiple smaller sizes). · Volunteers to set up and close each day. Last day to bring in items for the yard sale will be Wednesday, Aug. 19th. Volunteers are needed to work the Yard Sale a signup sheet is located on the bulletin board across the hall from the church office. For more information on the Yard Sale please ask Judy Kreutzer, Judy Rudd, or Gary Browning. Thanks in advance for all your donations. LISTEN TO MARY’S SERMON FROM LAST WEEK! Instead of just reading Mary’s homily, you can actually hear her vibrant voice speaking directly to you! Just click on Mary’s photo above and scroll down to the July 26 sermon. There you will find a “Play” button that will allow you to hear this week’s homily! 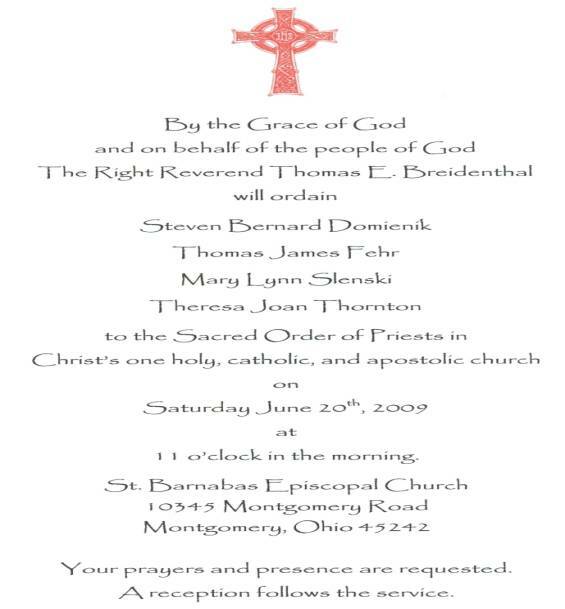 For those of you who missed Mary’s ordination to the priesthood on Saturday, June 20, 2009 at St. Barnabas Episcopal Church in Montgomery, OH, you can view all of the highlights of this sacred event by clicking HERE! Many congratulations to Mary on her wonderful achievement! >>> …celebrate the Holy Eucharist at the Widows Home of Dayton, a 75-bed nursing home and rehabilitation facility, located just five minutes from our buildings. This monthly service is very important to the residents who attend. Most of them are in their 80s and 90s and are no longer able to attend their own churches. >>> …give the invocation at a Medal of Honor Flag ceremony at the nearby Army Reserve facility. You might have read about this presentation in Dale Huffman’s column in the Dayton Daily News. The commanding general from the medic unit of the 101st Airborne presented this flag to the widow, son and mother of an extraordinary young man from Dayton who was killed in action 40 years earlier. He was 20 years old at the time and received the Medal of Honor posthumously for his outstanding service in caring for wounded comrades. >>> …prepared and presided at a service for the final reunion of the 91st Troop Carrier Squadron. Sixty-five years earlier, that same evening, these men and their comrades had left their airfield in England, flying unarmed C-47s, transporting into France the first U.S. paratroopers participating in the D-Day invasion. Many of their comrades were lost in action. Because of declining numbers and the limitations of old age, this was their last opportunity to gather with one another, to remember, and to honor those who did not return. Your support of St. Mark’s makes these, and many other ministries possible, both among the members of our church and in the community beyond. While the choir takes a well-deserved vacation until its first rehearsal in September, special summer music can be provided by individuals and small groups. Non choir singers and instrumentalists are also invited to share their gifts at a Sunday service. The sign-up sheet is outside the church office. If you have any question please call Christine Browning or the Church Office. Free 3e Black and 3e Magenta ink cartridge for a Canon 13CJ-6000. If you can use this type of ink cartridges they are available in the church office. Looking ahead, we have several openings for Sunday School teachers to begin in September. No experience required. The materials we use make planning easy, and the kids are a joy. 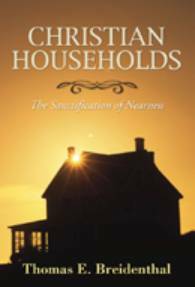 See Carol Nancarrow to take advantage of this opportunity to service. We invite you to join us in beginning the eighth year of our Partnership with Kemp Elementary School at our annual “Kemp Kickoff Cookout.” It will take place at the school from noon until 1:00 p.m. on Friday, August 14th: the Friday before classes begin. This fun annual event brings together students, parents, faculty and staff in a relaxed, informal setting in order to lay the groundwork for effective communication during the coming year. The role of the five partner churches is to provide the food and the grills as well as to cook and serve the hot dogs. If you are willing to help, please include your name on the volunteer list, posted on the main bulletin board (across from the church office). For more information, please contact Mike Kreutzer. This summer, I am going to take an extended bit of Sabbath time. In our standard agreement with parishes, clergy receive two weeks of sabbatical time each year. It accumulates for six years (i.e. a total of 12 weeks); the process then begins again. In my nearly 13 years at St. Mark’s (two rounds of “Sabbath years”), I have not yet used any of my earned sabbatical time. This summer seems like a good opportunity to do that — at least in a very limited way. I am going to take the month of July as a short sabbatical. My plans are to use that time to travel with my family and rest from my usual work in the parish, so that I can return to St. Mark’s on August 1st (the anniversary of my arrival here) refreshed, renewed and ready to begin my 14th year with you. In the Episcopal Church, while a Rector is away from a parish, the Wardens are responsible for the church’s ongoing life. Jim Rudd and Wayne Harper will be doing so in my absence. Please feel free to call upon them as needed. We are very fortunate this year to have among us Mary Slenski, who will be leading all worship services and will be providing spiritual support to the parish and to others whom we serve during this time. The work of art is unveiled at the end of the Summer Art Camp’s celebration and reception on Fri. July 24 7:00 p.m.
SOLLI, The Southern Ohio Lay Leadership Initiative, invites you to join them for their 2009-2010 sessions. SOLLI, provided through our diocesan Anglican Academy, provides education and training for those who might want to become lay leaders in the church. or contact the Rev. Karl Ruttan, Canon for Life Formation, at 800-582-1712. The care and nurture of all of God’s children, even the grown-up ones, is a part of the promise we make together to support a baptismal candidate just before their baptism. The realities of our world today mean that awareness and prevention of sexual exploitation, harassment and abuse is a real way to live into that promise. “Safeguarding God’s People” is training for that ministry and is encouraged for all vestry members, for anyone who works even occasionally with our children, or anyone interested. 9:00 a.m. to 12:15 p.m.
A coalition of Episcopal and Methodist churches is sponsoring a build a little later this summer. Our partner is a hard-working single mom. Her house will be in the Belmont area. Volunteer work will start Saturday, August 1. Your support is needed to fund and build this home. Lunch will be hot dogs, salad, and desserts. Requested minimum donation is $3 per person or $10 per family of more than three. There will also be a board signing. x 4″ x 8ft) that will be used in the house or shed. near Yellow Springs, for food, fun and fellowship. Following the 10:30 a.m. worship service, we drive to Young’s and gather at available tables in the Dairy Store (the older, more informal restaurant). After Lunch – and ice cream – there are many activates from which to choose. For more information (directions, menus, activities, etc…), check out Young’s web site: www.youngsdairy.com. A signup sheet is on the bulletin board outside the church office for those who would like to carpool. If you would like to carpool to the ordination a signup sheet is located across the hall from the church office. St. Barnabas is asking for donation of finger foods and desserts for the reception on dishes that do not have to be returned. For more information please ask Deacon Mary. This Sunday, June 7th come to church in picnic clothes and join the Sunday School for ice cream and games in the court yard – for everyone. Life is uncertain, eat dessert first. The annual recognition for Sunday School students and teachers will be held during the service. This walk is for child victims of abuse and neglect. A sign-up sheet is posted across from the office. Sunday, May 24th, 7:00 p.m.
Each year, VFW Post 657, American Legion Post 776, St. Mark’s Episcopal Church, Eastmont United Methodist Church, Faith Evangelical Lutheran Church and St. Mark’s Lutheran Church host a brief (30-minute) Memorial Day Eve service. This observance provides a way for the entire community to come together in a faith-filled setting in order to focus on the significance of this special day and to honor those who gave their lives for the freedoms that we enjoy. Please make plans to be with us, and bring your family and friends with you, for what is always a moving event for many. The service begins with the posting of the colors and concludes outside the church with the playing of taps and a 21-gun salute. Lord, protect and guide mothers everywhere to look out for their children. Help them teach and love their children as You love and teach us. Mothers are very important and help them do their vocation in a loving way. Amen. Please pick up the latest addition of the Lion’s Tale and 1st Quarter Contribution sheets. Thank you for recycling your envelopes. All are invited to bring a flower to church. During the service, all will be invited to bring their flower forward and, with the help of our acolytes, we will place the flowers into the holes in a large wooden cross. That cross will gradually burst forth in life, as a beautiful sign of our resurrection in Christ. 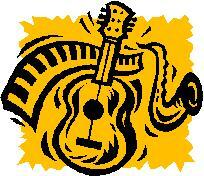 Saturday, May 9, 6:00 to 9:00 p.m. Proceeds will assist in the Mission Trips to New Orleans & Appalachia in June 2009. The Youth of Christ Church, First Baptist and our very own Gwen Browning and Kelcie Webster from St. Mark’s Church will host a Spring Fling Dinner on Saturday, May 9, 2009. The Spring Fling will be held in the Parish Hall of Christ Church from 6 to 9 p.m. Parking is available next door to Christ Church as well as at First Baptist Church. The evening will include a Silent Auction with wine and appetizers, a splendid feast and a variety of entertainment after dinner. It promises to be a grand evening of relaxation and amusement that you surely will not want to miss!! Entertainment will include a jazz ensemble from First Baptist Church, bluegrass music from The Broken Strings (Christ Church parishioner Greg Sexton and friends), and guitarists Gwen Browning (St. Mark’s) and Emily Sexton (Christ Church) will lead our youth and guests in a few songs. All senior and junior high mission trip participants will equally share the proceeds of the dinner for the mission trips to New Orleans and Appalachia. Read about the Mission Trips on the Christ Church website. Seating is limited; your quick response is appreciated! Episcopalians are tackling the region’s huge economic problems with creativity and determination. Come hear and share the news in the May 7 ECSF Regional Roundtable hosted by St. Mark’s Dayton, 456 Woodman Drive, from 6-9 pm. This event is sponsored by the Episcopal Community Services Foundation (ECSF), your diocesan non-profit which aids the anti-poverty work of Episcopal churches and their community partners with grants and free planning help. If you are able to join us, a sign-up sheet is located on the bulletin board across the hall from the church office. Share your current ministry – successes and concerns – with people in other churches. 8:15 PM – discussion and brief deanery meeting: What opportunities emerge for collaboration? This Week: Service at St. Margaret’s! Please remember that this Sunday, April 26, we are all invited to attend the Sunday worship service at St. Margaret’s Church in Trotwood. For those who wish not to drive themselves, please gather in St. Mark’s parking lot at 9:45 AM and car-pooling will be available. It’s time to begin looking ahead to next year’s Christian Education for our children. All, and especially parents, are invited to the discussion so that we can best plan for our children. On Wednesday, April 15, from 7:00-8:30 pm, the Rev. Jane Gerdsen will come to St. Mark’s help us explore the different programs available nowadays. Jane, passionate about the spiritual development of children, has first-hand experience in classroom and in planning with the popular programs used in Episcopal Churches. (No choir practice on this Wednesday.) For more information, contact Mike or Mary. We’re meeting at 6pm next Sunday, April 19th at Panera Bread by the Fairfield Commons Mall for food & fellowship with Deacon Mary. 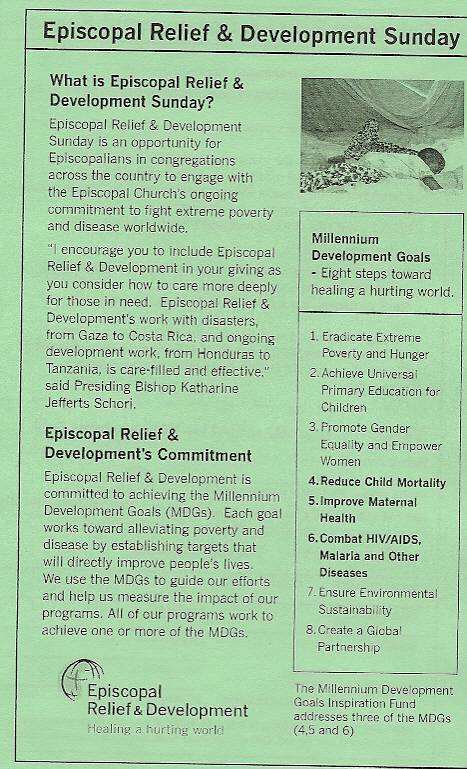 Episcopal Relief and Development Sunday! Please join us for a hot dog luncheon sponsored by the children of St. Mark’s. All proceeds will go to Episcopal Relief and Development! St. Paul’s Episcopal Church is looking for any golfers who would like to join their league at the Dayton Community Golf Course. This league has 4 tee times and gets together on Thursdays at 4:30. If you are interest please contact the Church Office to get Charlie Campbell’s phone number or e-mail address. We are delighted to announce that St. George’s Social Issues Commission is sponsoring a support group for people who have lost their jobs because of the economy or are otherwise unemployed. This group is being lead by the Reverend John Fredenburgh. The group will meet on Thursdays in the Welcome Area at St. George’s at 10:00 AM. 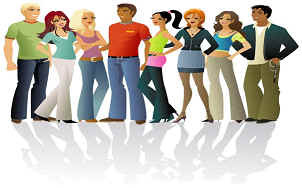 In addition to a support group, help will be given with insurance concerns, resumes, and job search, especially in using the internet. This is open to all in the Deanery, and all are welcome; if you know of someone in need to this group, please do not hesitate to invite them on Thursdays. Saturday, April 11 7:00 p.m.
Sunday, April 12 10:30 a.m. The light returns and the days lengthen, even if it remains startlingly dark as we rise these days — daylight savings time is not always a blessing so early in the year! Christians, however, look for light even in the midst of darkness, for we know that darkness will not overcome it. The rising of the Son brings light into lives filled with grief, agony, and despair. Are you searching for the light of new life? Easter recollects us and reorients us toward God’s eternal light of truth and peace and love. The resurrection is the ultimate proclamation that nothing can separate us from that light, not despair or destruction or death. We see hints of that resurrection all around us once our eyes have learned to look, and we continue to hope for its fullness, for the blessing of a light so encompassing that there can be no darkness or separation. Lent has been a willingness to experience the darkness of our current separation and tune our yearning for that light. Carry that yearning into Eastertide, and beyond, that we and the world around us may know the blessing of the light of Christ. The Quarterly Contribution Sheets are now available. Everyone who has made some sort of money offering/payment will receive a contribution sheet. To help save on postage please pick up your contribution sheet and Lion’s Tale from last week then recycle the envelopes. If you have any questions regarding your contribution sheet please contact the church sectary Rachel Huffman at 256-1082. 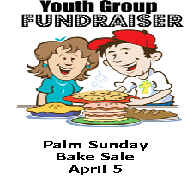 Funds from the Bake sale will go toward the youth mission trip to New Orleans in June. Our very own Gwen Browning and Kelcie Webster will be joining with the youth from Christ Church and First Baptist Church to work in the areas devastated by hurricane Katrina. Weather-related cancellation of church services. > on WDTN TV (although they have apparently had problems with their web site in the past, these listings should also appear on their web site). > on all Clear Channel Radio stations in the area: WLQT, WTUE, WMMX, WXEG, WDKF, WDSJ and WONE. But just because you are not able to make it to church doesn’t mean that you can’t share in at least part of our Sunday celebration! Our webmaster, Dave Reuter, posts on our web site each week the scripture readings for the Sunday, the homily and the announcements. Also, if you would like some music to accompany your private worship time, you can visit http://www.cyberhymnal.org/ which allows you to choose, listen to, and learn about over 5400 hymns. St. Andrew’s Episcopal Church, 1060 Salem Avenue in Dayton , invites you to join them in an all-night prayer vigil from the evening of Maundy Thursday through the morning of Good Friday. This traditional practice recalls Jesus’ own prayer vigil in the Garden of Gethsemane. Participants are invited to sign-up for one hour, beginning 8:00 p.m. on Thursday and ending at 8:00 a.m. on Friday, when the vigil will conclude with Morning Prayer. Deacon Arthur Mills will remain in the church the entire time, so no one will be there alone. If you would like to participate, or if you have any questions, please contact Arthur by email (amillsjr@woh.rr.com) or by calling the church at 278-7345. St. Mark’s will be celebrating the Liturgy of Good Friday, beginning at noon. Please be with us if you are able. In addition, Christ Church, Dayton (20 W. First St.) and St. Andrew’s, Dayton (1060 Salem Avenue) are each offering Taizé services, beginning at 7:00 p.m.
What happens when we come face to face with God? People of faith have always struggled with the encounter with God, simultaneously desiring it and fearful of its effects. How can we overcome our fears and venture into a deeper relationship with the Holy One? How can we use Jesus, our Savior as a model, or look to other Biblical figures, mystics, or contemporary cultural examples as our guide? The Lenten Series will be held on five Tuesday nights during Lent. The program will begin with prayer and a simple soup supper from 6:00 – 6:45 pm. The program will include four separate tracks to choose from between 6:45-8:00 pm. Childcare provided for young children. 1. The Biblical Encounter with God : We will use Scripture as our guide and study together how God’s holy people respond to God’s presence in their midst. 2. The Spiritual Encounter with God: We will look at saints and mystics and the spiritual practices that brought these holy people face to face with God. We will practice several different kinds of prayer in this track. 3. The Encounter with God in Contemporary Culture: We will look at contemporary examples of the encounter with God in movies, novels, music and other sources. One example is the popular novel The Shack by William P. Young. 4. The Encounter with God for Children (ages 3-12): We will explore the encounter with God found in the Biblical story through songs, storytelling, crafts, prayer and other activities. This program will be held at several of our deanery churches. We invite you to join us as you are able on this special Lenten pilgrimage! You are invited to gather in the nave on the next five Wednesdays (i.e. March 4, 11, 18 and 25, plus April 1) at 7:00 p.m. for recited Evening Prayer, led by Deacon Mary Slenski. This traditional service offers a way for members of the community to join together for mid-week worship during this sacred season. On Wednesday of Holy Week, April 8, also at 7:00 p.m., Mary will lead an observance of The Way of the Cross. 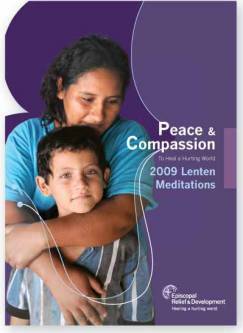 In the pews are booklets titles “Peace and Compassion to Heal a Hurting World.” They are provided by Episcopal Relief and Development and are intended for you to take home and use a a very brief basis for your own, and your household’s, daily prayer, reflection and action during this Lenten season. St. Mark’s has 3 FREE tickets! 4:00 PM performance of The Art of the Magnificat. The Bach Society presents music and art spanning several centuries in an exciting collaboration with the University of Dayton Marian Library. this concert focuses on the Annunciation and the Visitation of Mary mother of Jesus, through the combination of music and art in a multimedia production. the ‘Magnificats” of both J.S. Bach and John Rutter are the musical showpieces, complimented by images from the Marian Library’s extensive art collection projected on large screens in the sanctuary of the Kettering Seventh-day Adventist Church. If interested in these tickets please contact the church secretary at 256-1082. ON A SIDE “NOTE!”: A Prize Winner in Concert! You are invited to an organ recital by Andrew Kotylo, a virtuoso young organist and prize winner at the 2008 American Guild of Organists National Young Artists Competition. Free and open to the public. Today Sunday, March 29 at 4:00pm at Christ Episcopal Church (20 W 1st St., Dayton). 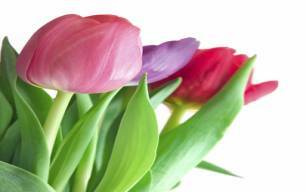 We are receiving donations for Easter Flowers. If donating please print the person’s name for whom the flowers are in Thanksgiving or in Memory of. The last day for ordering is April 5th. Envelopes are found in the pews or extras are located on the usher’s table. On March 28 we will plan to meet at the Church at 9:00 AM. ( A rain out date is being planned for April 4, just in case!) This is a day when parishioners come and work together putting a “sparkle” on our buildings and grounds! Please mark your calendar to come out and help clean up the church. Pizza will be provided. For more information please contact Wayne Harper. 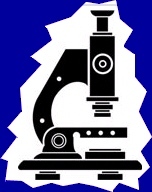 The 2009 St. Mark’s directory is in progress, but to make sure all the information listed is correct we need your help. Please take a moment to look at your information. If everything is correct or make any changes please put your initial next to your name. If you attend St. Mark’s regularly and are not listed in this rough draft please write in your information on the back page. There are 3 rough drafts around the church (you only need to correct/check one copy) 2 copies are up by the piano and 1 copy is on the ushers table. The new directory will be available on Sunday, March 1st. Home baked cookies are needed for the upcoming men’s Kairos Prison Ministry retreat at Lebanon Correctional Institution. From area churches, a total 10,000 dozen cookies are used to initiate forgiveness among inmates and demonstrate unconditional love to the entire prison population. There are plastic bags with instructions available at the usher table. Please bring your baked and bagged cookies on 1 March. For more information, contact George Slenski who will be part of the Kitchen Team for the March 12 – 15 event. Friday April 24th 7:00pm game; Saturday May 9th 7:00pm game. This is a limited time offer, so money needs to be turned in by March 1st. Please make checks payable to St. Mark’s Episcopal Church. There were many people who contributed to the success of The Bishop’s Coffee Hour last Sunday. We had a wonderful assortment of food donated. Also, with so many helping with the set up and clean up everyone was able to enjoy the visit with the Bishop and his wife. Thanks again to all who made this possible. On Sunday, March 1st, the First Sunday in Lent, Bishop Thomas Breidenthal will be making his first official visit to St. Mark’s. This provides us with an opportunity to spend time with the chief pastor of our diocese. It also provides a great opportunity for those who would like to be baptized, confirmed, or officially received into the Episcopal Church to do so. If you are interested in any of these rites, please contact the Rector as soon as possible. Volunteers are needed to bring food to share for the Bishop visit on March 1st. A signup sheet is located across the hall from the church office. Judy Rudd or Judy Kreutzer. in advance through Rachel Huffman. Now available are the 2009 Episcopal Kalendar Church Year Guide for only $2.00 each. If you would like to purchase a calendar, they are located in the church office. We’re meeting at 6:00 pm tonight at Panera Bread by the Fairfield Commons Mall for food and fellowship with Deacon Mary. Our own William Askren, PhD, Psychology will share discoveries from his own exploration of our mental abilities and aging. In case of inclement weather the presentations will be held on Feb. 18th or 22nd . Please remember to pick up your February “Lion’s Tale” edition. Also please recycle the envelopes. Thank you. The office will be closed on Monday, January 19th. 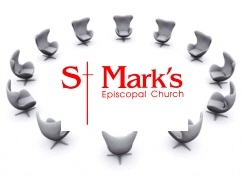 Three weeks from today, we will host St. Mark’s Annual Parish Meeting. This is an important event in the life of a parish. It is the occasion in which all parishioners come together to review the current status of the parish, to explore plans and ideas for the future, and to elect our parish leadership for the coming year. All active parishioners, age 16 or older, are eligible to vote. We will be electing a Senior Warden, a Junior Warden, three Vestry Candidates, three Diocesan Convention Delegates, three Diocesan Convention Alternates, and three Deanery Representatives. …to bring food for the Luncheon after the Annual Meeting on Sunday, January 25th. A signup sheet is located across the hall from the church office. COFFEE HOUR HOSTS NEEDED AND MORE! There are a lot of opportunities available to host a coffee hour. This is a great way to share in fellowship with visitors and other members of the church. The sign up sheet is located on the bulletin board outside the church office. For more information on how to host a Coffee Hour please contact Tony Rubino or any Vestry Member. Buy Early! Help us with our headcount and save! For more information on this event please call the Church Office. There are openings for Altar Flowers on the sign-up sheet outside the church office. The beautiful arrangements are only $30.00. The candle in the Sanctuary Lamp represents the everlasting glow of God’s light upon us all. We celebrate the memory of those who have died and the blessing of those we care about. A signup sheet is available on the bulletin board outside the church office. Due to a price increase the Sanctuary Candle will now cost $7.00 for a two week period instead of $6.00. 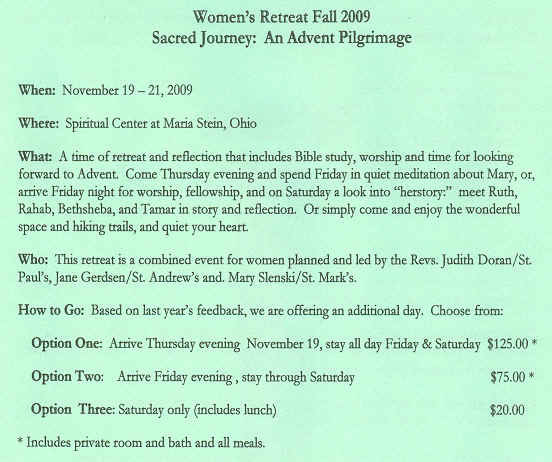 The 2006 Sign up sheets for the Sanctuary Candle is on the bulletin board outside the church office. If you sign up for the candle it covers two Sundays for only $6.00. If you’re a girl, age 9-11 or in 4th, 5th, or 6th grade. You can become a Junior Girl Scout. 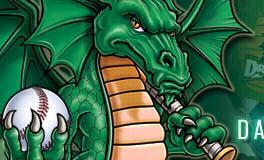 Troop #2302 meets at St. Mark’s on Monday evenings at 7:00 p.m. The first meeting of the next membership year is September 20th. If you’re interested, phone Jackie Skiple at 427-1303 or email skiples@sbcglobal.net for registration information. Don’t delay. Troop size is limited. St. Mark’s Youth Program meets in the Youth Room from 9:30 until 10:15 to discuss the role of faith in the lives of our young adults. The leaders are T. J. and Jenna Walch. 4th and 6th Grades meet from 9:30 until 10:15 for this year’s series, “This is the Church.” The leader is Laura Nancarrow. 2nd and 3rd Grades meet from 9:30 until 10:15 for this year’s series. The leader is Carol Nancarrow. Kindergarten – 1st Grade meets from 9:30 until 10:20 to share a time of learning about the Bible and the life of the Church. Janet Reuter and Kendall Rubino are the leaders. · Once you receive your lion’s tale place your personalized envelope in the recycle folder. This helps save money on envelopes, labels, and stamps. · The Kemp School computer lab is supported in part by donations of used printer cartridges. If you have any used ink cartridges please bring them into the church office. Drop box is located on the bookshelf. · The Seamen’s Church Institute of New York and New Jersey is collecting and distributing 2008 calendars to seafarers. Episcopalians are encouraged to save 2008 calendars they received in the mail or from local business. Ruby Webster will be collecting these calendars (pocket to wall size) until the middle of January. The calendar donation basket is located on the church office bookshelf. We have been blessed with a wonderful group of infants and toddlers in our parish. Several of them participate each week in a special Sunday School program in our Nursery during the first part of the 10:30 service. To continue this, we need a few adults in the parish to volunteer, perhaps just once every month or two, to assist Judy Kreutzer and Sandy Bultman in the Nursery. Please consider signing-up for this important, and fun, form of ministry on the list posted outside the Nursery. Everyone can have a chance to help will the Coffee Hour, Lawn Mowing, Altar Flowers, or Sanctuary Candle. Please do not push and shove! There are plenty of openings just waiting to be filled. St. Mark’s is a long-time member of the New Source (formerly The Parish Resource Center), which provides a wonderful variety of books, videos, puppets, costumes, banners and many other items – plus friendly, helpful professional assistance – to all of our members. The Center has recently moved and is now located on Salem Avenue just north of Cornell Avenue. Visit them on their new web site at www.nstcm.org/. The total number of pledges and amount pledged received to date for the current stewardship campaign are 39 and $115,180, respectively. This is considerably short of our goals of 57 pledges and $145,000. Thanks to all who have pledged to date. If you have not submitted your pledge yet, please prayerfully considering doing so. Your pledge to our parish to do God’s work would be greatly appreciated.